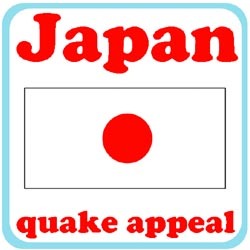 As promised, here are a few of the Japan fundraisers that I've come across in the blogosphere. Please donate what you can in the way that you're most comfortable. All donations go directly to ShelterBox, an international disaster relief charity that delivers emergency shelter & warmth to people affected by disaster. Each large, green ShelterBox is tailored to a disaster but typically contains a disaster relief tent for an extended family, blankets, water storage and purification equipment, cooking utensils, a stove, a basic tool kit, a children’s activity pack and other vital items. 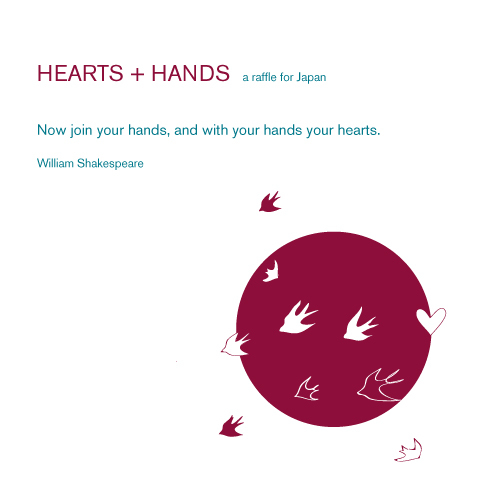 A raffle for japan with 50 artists and studios contributing prizes. 100% of the donations will go towards relief efforts in Japan. All proceeds go directly to Global Giving with each blogger conducting their own raffle and contributing their own prizes.